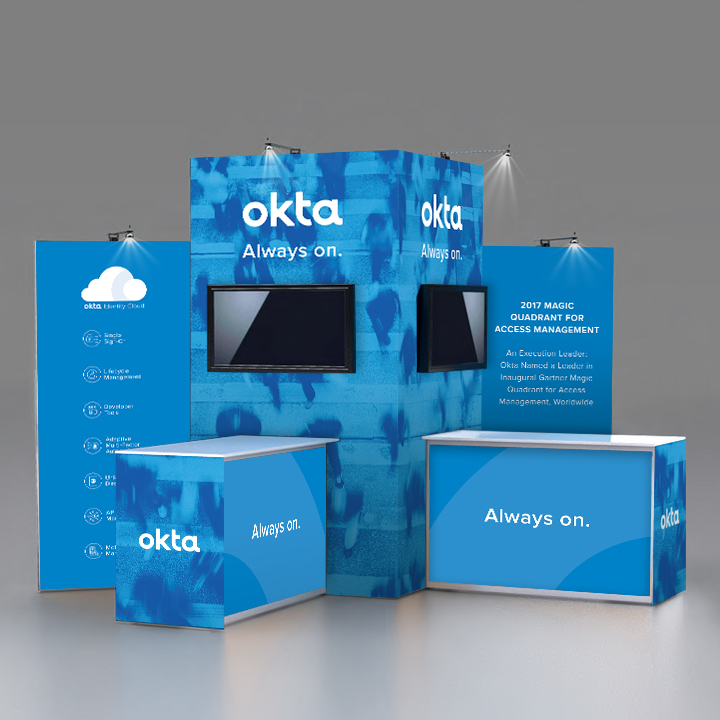 Events are an important part of Okta's marketing. 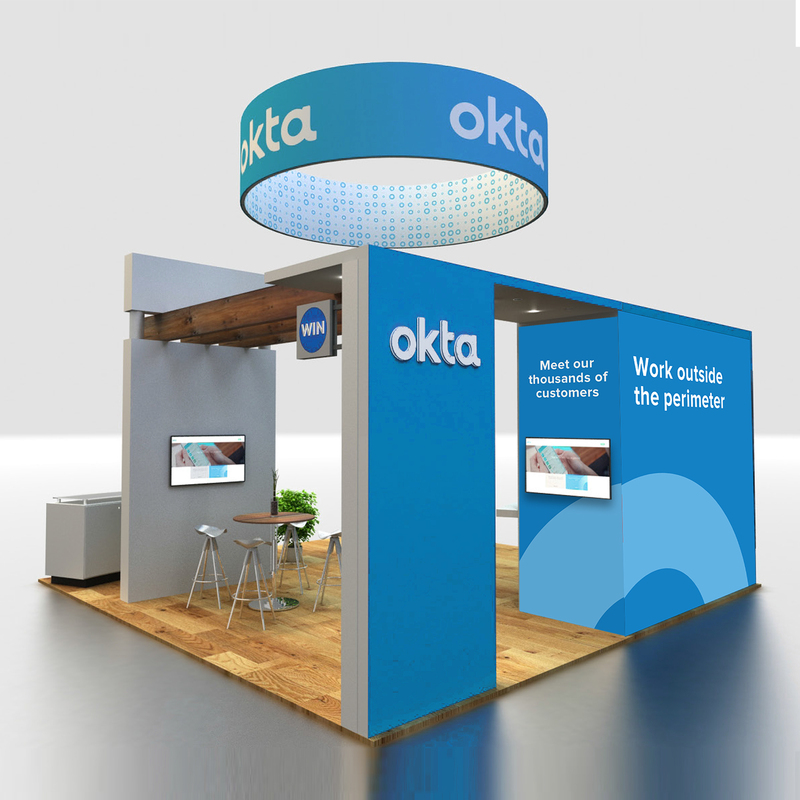 In partnership with Astound, we design booths for many of Okta's events. SketchDeck has supported Okta's design needs for more than 3 years. We work with stakeholders across the company to deliver high quality visual design at scale. Event design is a big part of this. 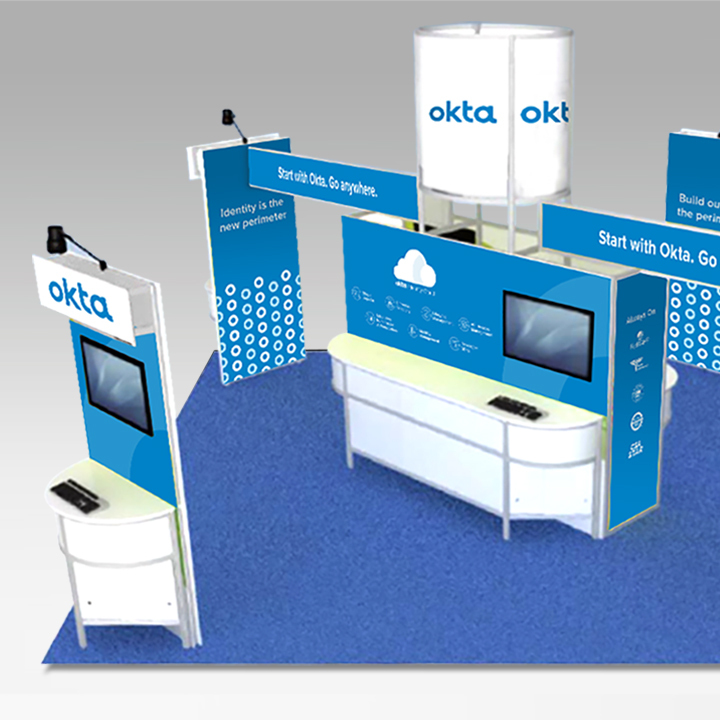 In partnership with Astound, we designed these booths for the RSA and Gartner conferences.